For the third time in less than a month, the Warriors will take on the Clippers, as Steve Kerr’s squad looks to complete the regular season sweep of Doc Rivers’ 35-21 Clippers. Golden State will be looking to stop Los Angeles’s four-game winning streak. Warriors tickets at Oracle Arena currently average $378 and the get-in price is $85. Heading into the contest, Golden State has not lost at home since January 6. The Warriors then host the struggling Nets two days later in hopes of putting together a string of wins. Brooklyn starts an eight-game road trip on Thursday at Denver before heading to Golden State. Warriors tickets against the Nets currently average $368 and the get-in price is $79, as Brook Lopez and company try to upset the Warriors. On Friday night at Madison Square Garden, the Knicks will host the 76ers for the second time this season. On January 11, Philadelphia defeated the visiting Knicks in a one-point contest. Knicks vs. 76ers tickets currently start from $89 each and average $279, as Carmelo Anthony and company seek revenge against the 76ers. Coming off a crushing one-point defeat at the hands of the Chicago Bulls, the Celtics start their post-All-Star break schedule on Friday north of the border. Boston’s loss stopped its four-game winning streak while Toronto’s win on February 15 ended its three-game losing streak. 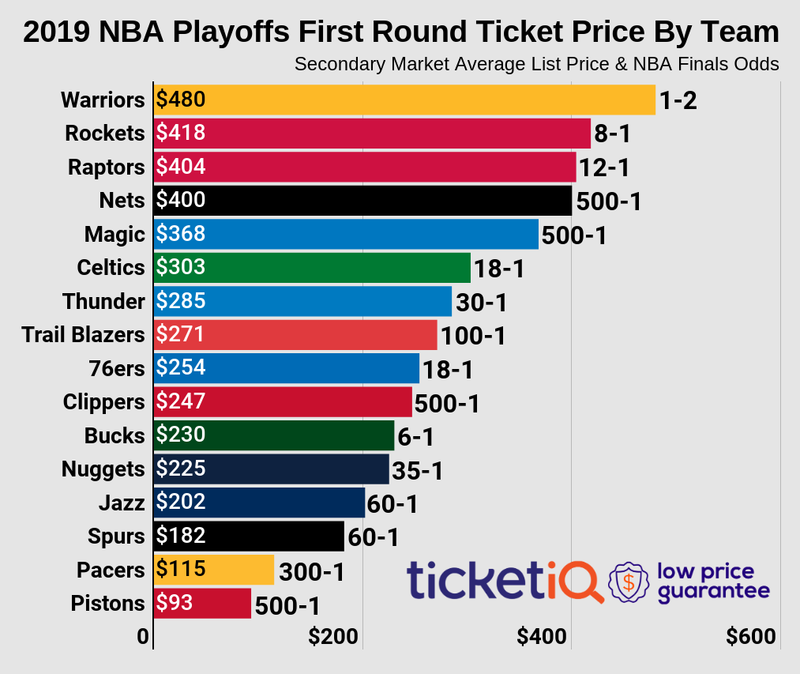 Raptors tickets on TicketIQ currently average $260, and the cheapest available tickets start from $90 each. The Raptors look to create a winning streak, as they start a quick two-game homestand. The Clippers, who own a four-game winning streak, have a very difficult, but interesting back-to-back set to start their post-All-Star break schedule. On the latter half, Los Angeles hosts the Spurs, who will be playing in Los Angeles twice over the weekend. Clippers tickets at Staples Center average $210 and the get-in price is $33. San Antonio will be looking for revenge on the Clippers, who have won each of the first two meetings of the season.